The row may be the new paddy in the nation’s number-one rice producing state. Agronomists, scientists and farmers at a recent field day in Mississippi County say the trend of growing rice in straight rows instead of curves has expanded in Arkansas this year after early experiments were successful. Water conservation is a top priority for rice farmers — for economic if not ecological reasons — and many say it's not clear yet whether rows reduce flood levels, but they do believe planting in rows may save on tillage costs. “We’re saving four or five tillage trips coming out of rice into the soybean rotation,” said Ryan Sullivan, who farms in Luxura. Tom Burnham, who farms in Blytheville, said he started with 80 acres of rice rows last year and committed all of his 2,200 acres to rows this year after finding that his rows could save some $70 per acre in tillage costs. “It’s pretty obvious that it’s the way to go for the future,” he said. Research hydrologist Dr. Michele Reba said innovators and forward-thinkers try rows. “We grow the most rice of any state in the U.S., so we need to be out in front of practices that make sense,” she said. According to the University of Arkansas Division of Agriculture Research and Extension, farmers grew 40,000 acres of rice in rows last year. This year that figure more than doubled to 100,000 acres. But 100,000 acres is still a small percentage of Arkansas’s 1.4 million acres of rice. Even those who favor rows say its not necessarily the right match for every farmer or every piece of land. Josh Hankins, a steward with USA Rice, said the switch to rows may be slow for some farmers since change in the farming industry can be riskier and more expensive than in other types of businesses. He said many growers are still weighing the pros and cons of rows versus curves. “There are some cons too, when it comes to weed pressure and disease pressure, but if the pros outweigh the cons ... then it makes sense financially for these guys to try it,” he said. Dr. Jarrod Hardke, an agronomist with the Extension office, said this year’s autumn harvest may help determine whether the row trend continues. “The story of which direction that trend goes from here, further up or further down, will be based on ultimately the grain yield success of what comes out of this year,” he said. This story is produced by Arkansas Public Media, a statewide journalism collaboration among public media organizations. 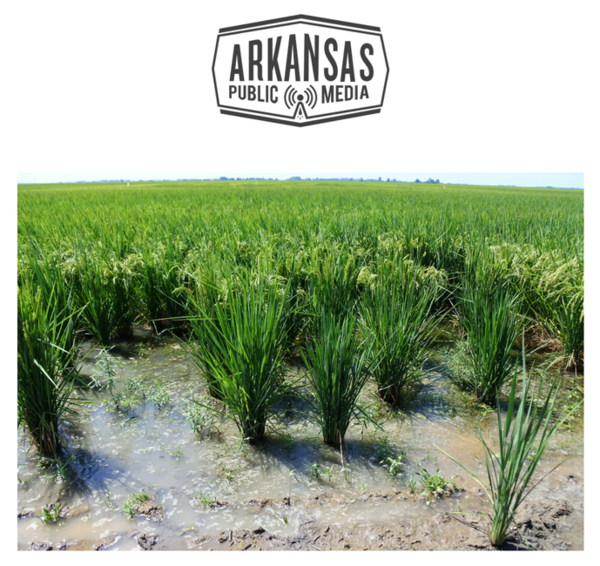 Arkansas Public Media reporting is funded in part through a grant from the Corporation for Public Broadcasting, with the support of partner stations KUAR, KUAF, KASU and KTXK and from members of the public. You can learn more and support Arkansas Public Media’s reporting at arkansaspublicmedia.org. Arkansas Public Media is Natural State news with context. Copyright 2018 Arkansas Public Media. To see more, visit Arkansas Public Media.